....He sent me this photo of it when it was new parked in the rest area at Te Aute, south of Hastings. It was powered by 550hp Cat and Shane says it coped with the run very well. He also sent me a couple of pics of his own truck. A Mack RB. RBs were a development of the old R series, but with a longer bonnet and larger grille to accept larger power plants and the necessary bigger radiators to go with them. Unlike the long bonnet Rs, which had the cab moved further back from the front axle, the RBs left the axle/cab relationship the same and extended the bonnet forward, thus giving it a set back axle effect. Here is another snap of it hiding in the bushes. 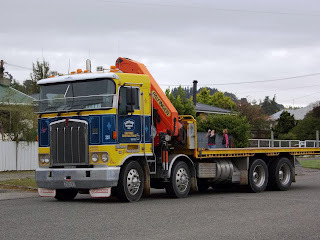 If anyone else who follows my blog has information or especially photos of trucks I have shown or indeed those I haven't; please forward them to me and I will gladly publish them with credit to the photographer (if known). I also welcome any comments or criticisms. Many of the comments I make are from memory and there are times when I have probably made mistakes, so don't hold back in letting me know. That Mack RB was a NZ designed and built model and was not available anywhere else. There was an American Mack called an RB, but it was quite different and was just a set-back front axle version of the R600. The bigger bonnet on the NZ version also allowed the air cleaner(s) to be fitted underneath the bonnet out of sight. 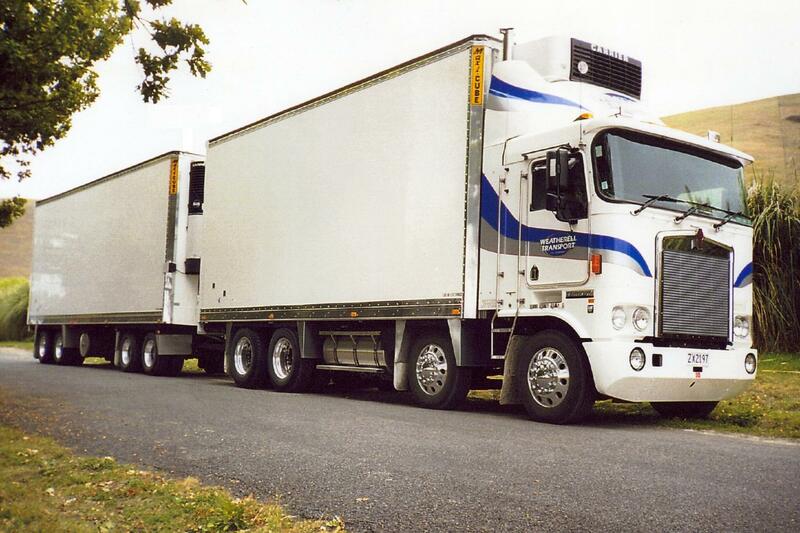 And Some More Trucks ! A Dozen More Truck Pix.